Here is an interesting ranking of a select number of colleges based on a specific personality type. I’ll copy the introduction for you and include the description and ranking for Maharishi University of Management. MUM is in good company! In this ranking, we focus on 30 great small colleges for the ESTP personality type. The ESTP Personality is referred to as “the Entrepreneur” and considered an Explorer. These are people who are smart, perceptive, energetic, bold and original. Some of their best attributes include their excellent sense of humor, their perception skills, and their excitement for life. They have an innate sense of when something, even something minute, is different. School can be a challenge for the ESTP learner, not because of a lack of intelligence, but rather their love of learning by doing. They are people who often subscribe to the motto “rules are made to be broken.” This Myers Briggs Personality type is a risk taker and loves to push boundaries. They can sometimes be seen as insensitive or impatient and their risk taking can lead to trouble. In some instances they can even be seen as defiant. An ESTP loves to think on their feet and make decisions in the moment. They are extremely social people and love to network and use their social intelligence. Some of the careers for ESTP learners include sales, marketing, business, athletics or exercise profession, entrepreneurship, environmental studies, sustainability studies, coach, sports medicine and athlete. Typically the ESTP career is that of a leader, and not a subordinate. Each of the Myers Briggs Personality types has a number of career options that are best suited for their specific personality characteristics. 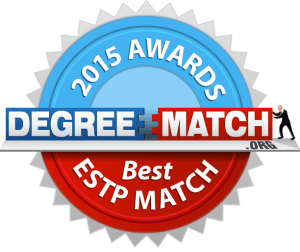 ESTP’s may choose to major in a field where they can put their best skills to use. They will hone in on their social prowess and their quick thinking. They are people with naturally born business savvy and an innate ability to negotiate successfully with others. These traits are ideal for the ESTP majors of business, marketing, sustainability, environmental science, exercise or sport science and entrepreneurship. For each of the unique Myers Briggs personalities, there is a learning environment that will most ideally allow them to use their individual strengths and interests. For example, an ESTP will benefit from a learning environment that is not restrictive. A smaller learning environment is ideal so they have plenty of opportunities to put their natural leadership skills to work. A college with many opportunities to interact socially will also be a great college for ESTP learners. Those schools with opportunities to participate in athletics will be a huge benefit for ESTP athletes. For information on how we selected these 30 schools, see the methodology statement at the end of the ranking. For those non-traditional students who might be juggling work and school, or those who benefit from a more relaxed pace, this school could be an ideal choice. 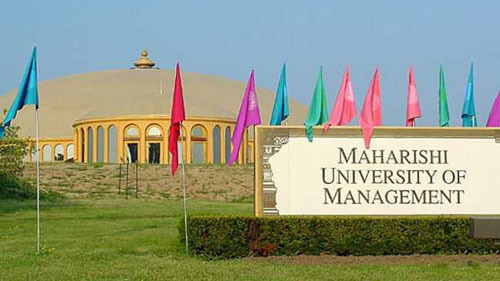 For more than 40 years, Maharishi University of Management (MUM) has forged the way with a cutting edge approach to learning, creating Consciousness-Based℠ education. All students and faculty at MUM practice the Transcendental Meditation® (TM) technique, a simple meditative technique. Research has shown that this meditative model leads to integrated brain functioning, increased creativity and intelligence, reduced stress, improved learning ability, improved academic performance (GPA), improved ability to focus, improved health, and many more. MUM offers bachelor’s, master’s, and PhD degrees in a wide range of traditional fields, such as business, media and communications, art, literature, education, and computer science. The school has also developed several new and exciting disciplines as well, including sustainable living and Maharishi Vedic Science. ESTP majors with an interest in business can pursue a Bachelor of Arts (BA) or a Master of Business Administration (MBA). The BA in Business Administration program prepares students to be leaders in the private or public sectors. The MBA program prepares students to compete effectively in the job markets and to engage in high-level operational and strategic management teams. This entry was posted on February 18, 2016 at 8:21 pm and is filed under Articles, Education, Health, Maharishi University, Sustainable Living. You can follow any responses to this entry through the RSS 2.0 feed. You can leave a response, or trackback from your own site.